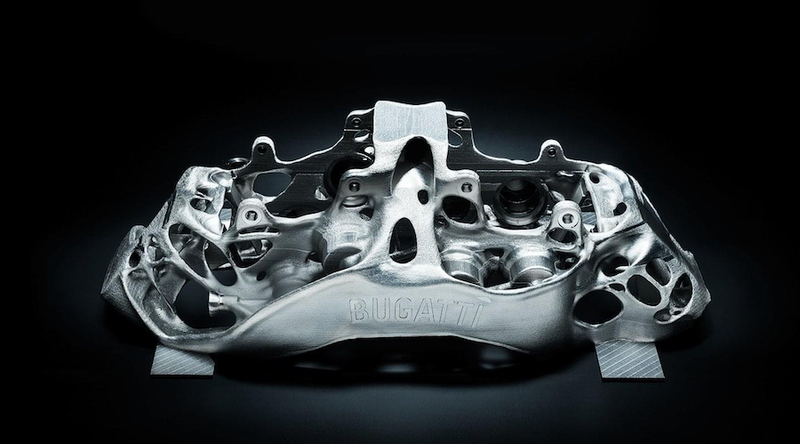 Bugatti recently boasted that it had manufactured the world’s first 3D printed brake caliper. The 3D caliper is made of titanium and is 40 percent lighter than the Chiron’s standard caliper, which tips the scales at around 11 lbs. The new caliper, by comparison, weighs 6.4 lbs. 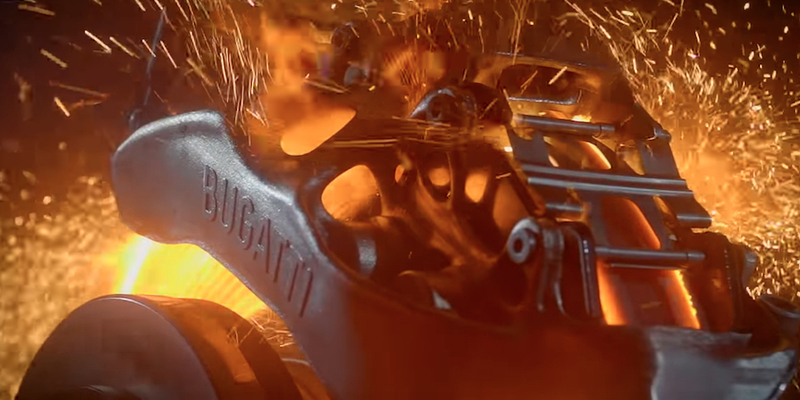 Bugatti manufactured the unit using a 3D printing machine with 400-watt lasers, which fuse thousands layers of titanium powder to form one solid piece. The process takes around 45 hours to complete and is probably quite expensive – but for a company like Bugatti, saving 6.4 lbs of unsprung weight per wheel can make a massive difference. Now the automaker has put the 3D printed titanium caliper to the test and luckily for us, it took a video of it. The engineers didn’t go easy on the caliper, either. They hooked it up to a rotor, spun it up to around 230 mph and grabbed the brakes hard before repeating this process a few times over. Eventually the rotors catch fire – but the titanium caliper looks no worse for wear. So what do you say, Bugatti, is the 3D printed ready for production? Perhaps on the SUV that you will inevitably build? Don’t forget that technology like this could also trickle down through the VW Group brands. Bugatti, like Lamborghini, serves as a research incubator for the automaker, cooking up innovative ideas like this in order save weight, go faster and also save fuel.